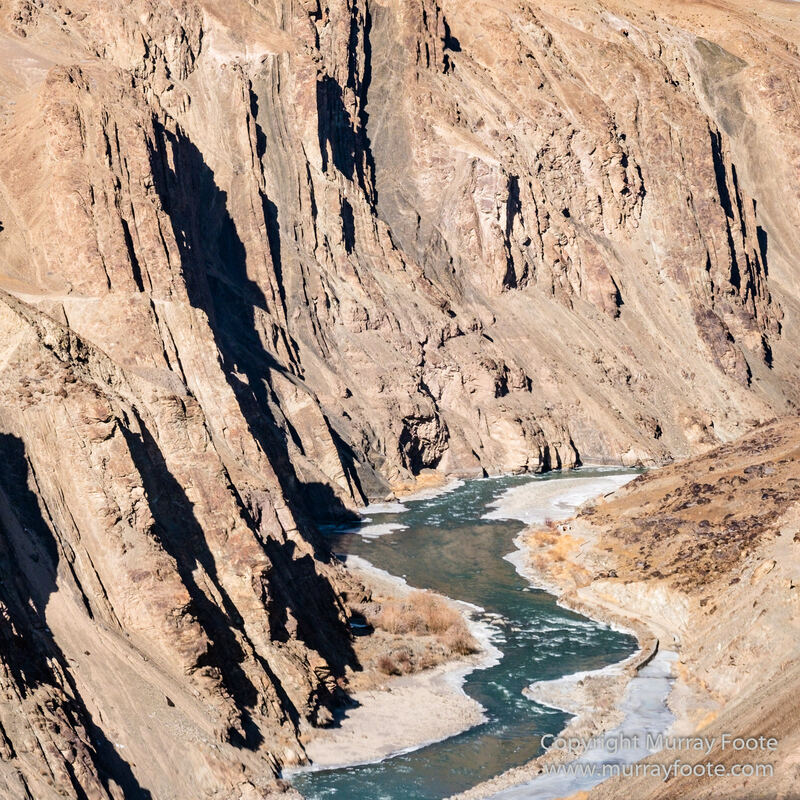 We are in the cars and heading towards Hemis National Park, where we are to camp for eight days. 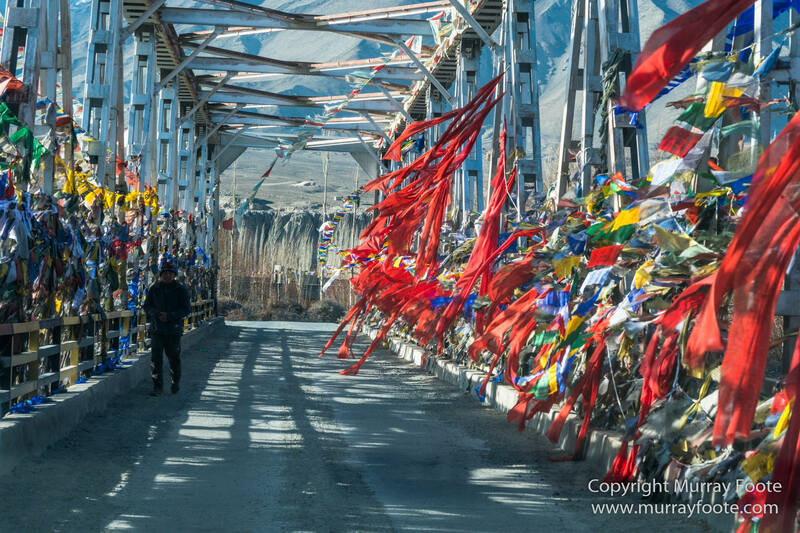 On the way we pass a bridge festooned with prayer flags and banners. 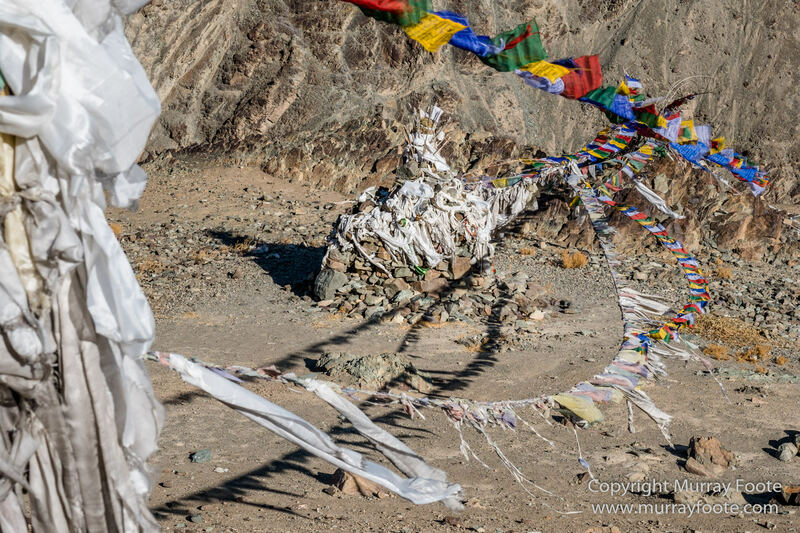 We stop at a cairn near the side of the road festooned with prayer flags and white silk. Our drivers are conducting a ceremony to bless our trip with good fortune. 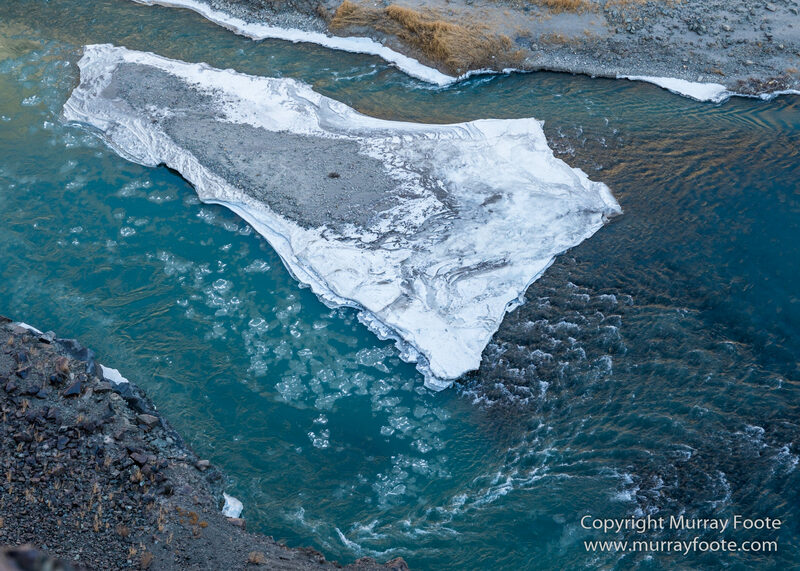 Down below in the Indus River, a bank of ice has formed around a gravel bar. Even before getting into the National Park, the view is wild and barren. 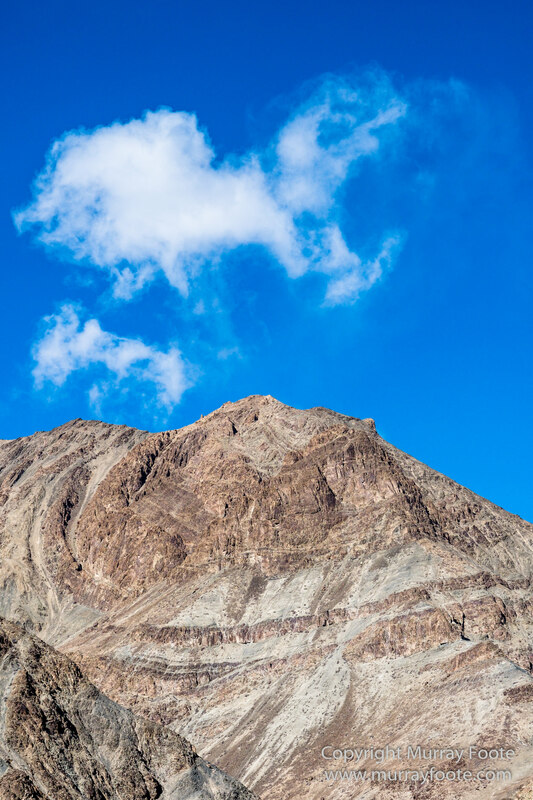 … and the mountains are majestic. 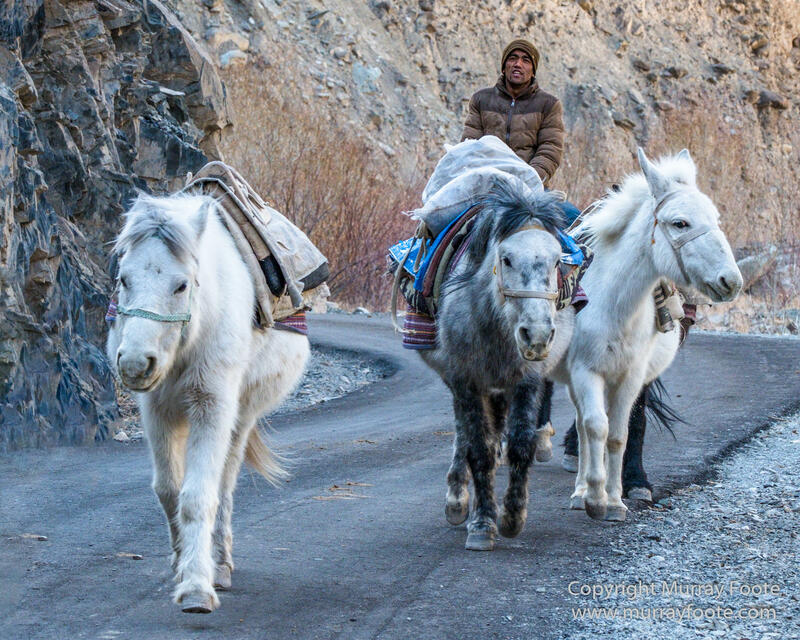 … when some of the ponies came wandering down the road. These are to take our bags from the cars to our camp. 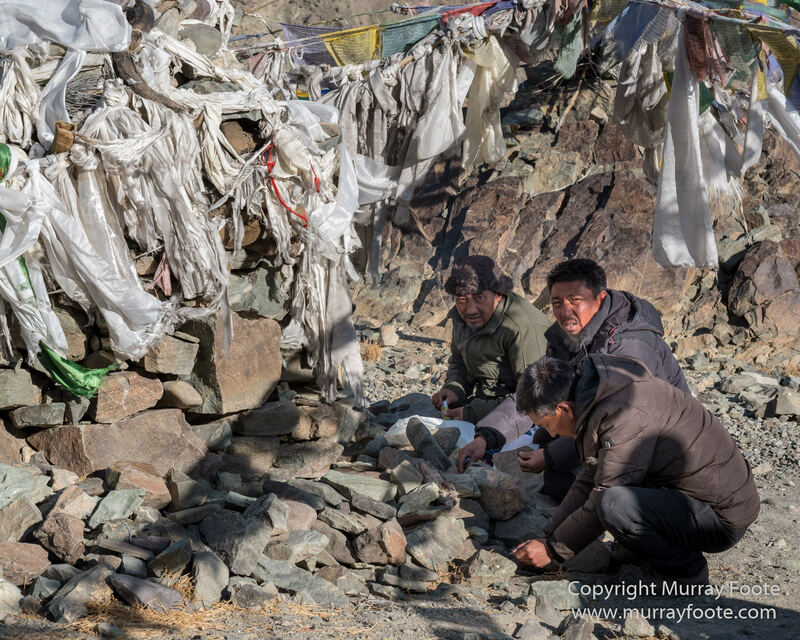 It was not a long walk to the camp and here is the yak Tashi hanging around near the kitchen. All the catering and organising is done by villagers from the nearby village Rumbak. 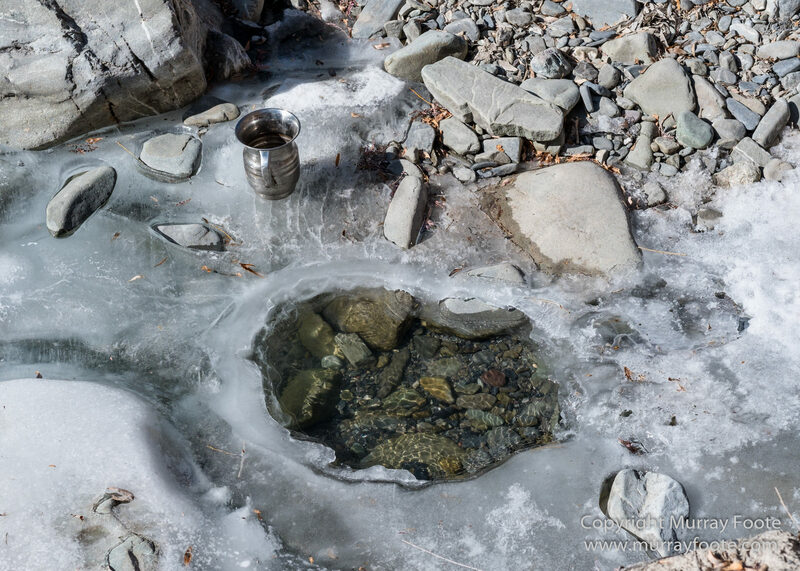 We are beside a small river and here a hole has been made in the ice for our water supply. 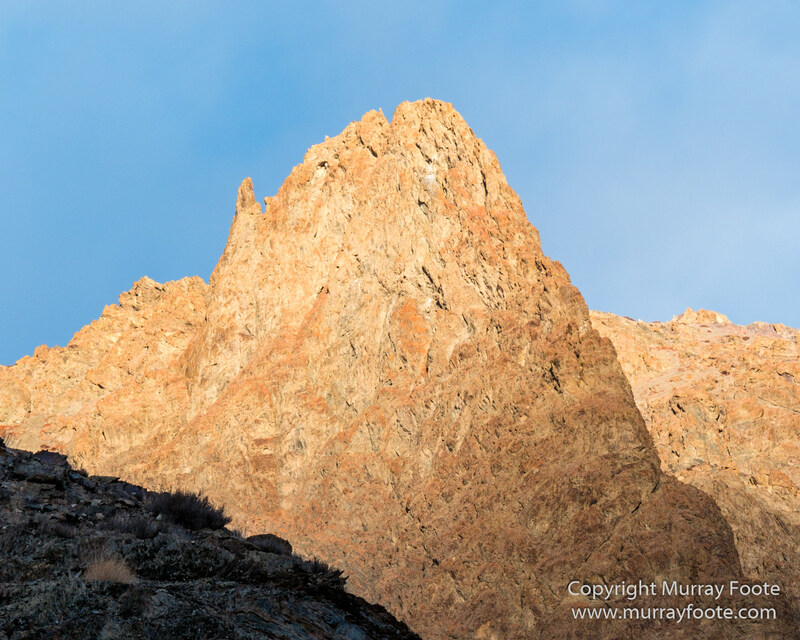 A dramatic rock headland towers over the camp. 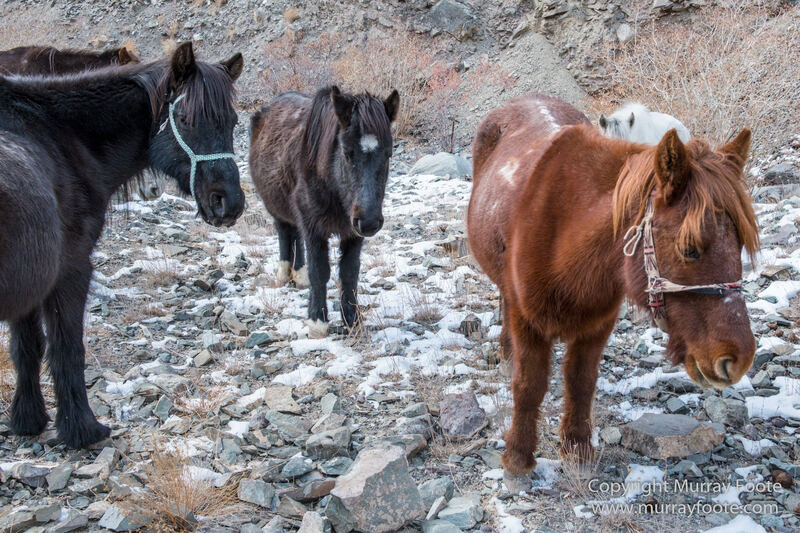 After lunch, we head off to look for snow leopards and encountered some of the ponies along the way. 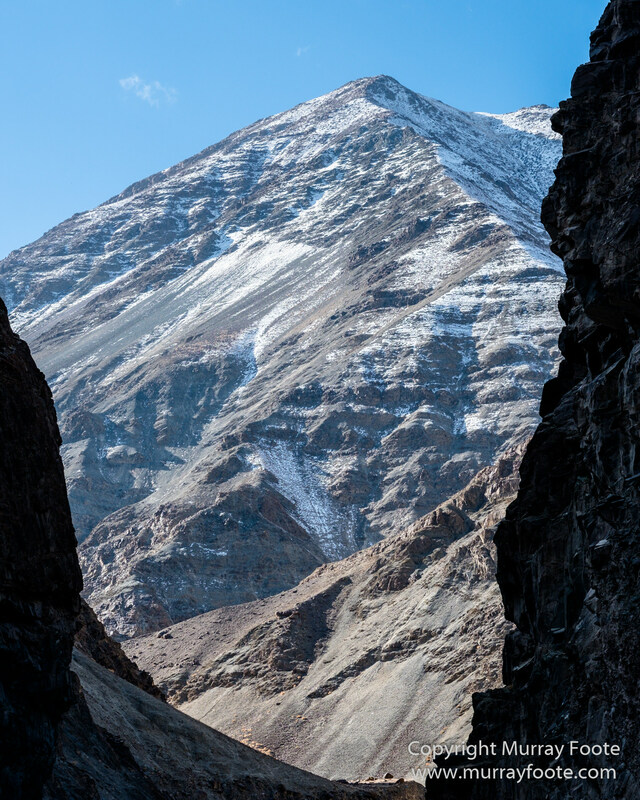 We climb up to a ridge and some of our guides search for snow leopards in the mountain sides with spotting scopes. 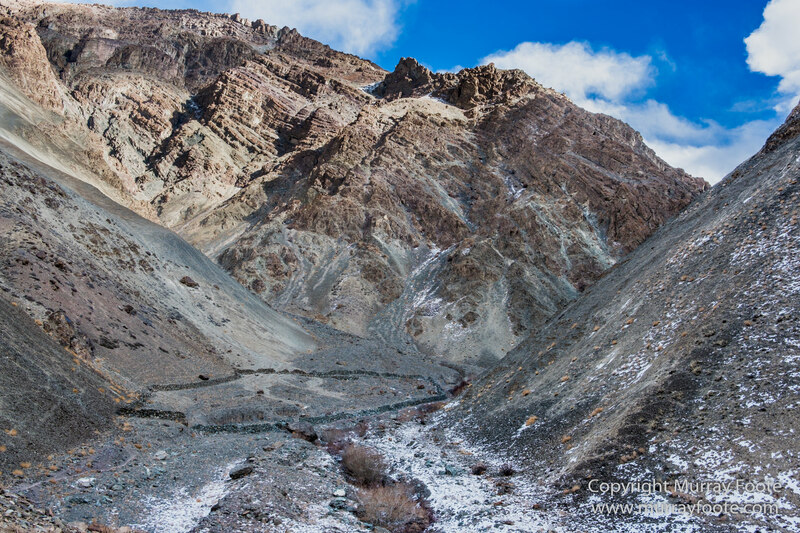 This is a view from there showing a large stone pen in the valley below. We didn’t see any snow leopards though earlier we passed a spot where a snow leopard had rubbed against a rock, marked the spot and left an indistinct paw print. I didn’t think to take an image though it would have been fairly prosaic. Nonetheless, we enjoy the play of the late afternoon light. 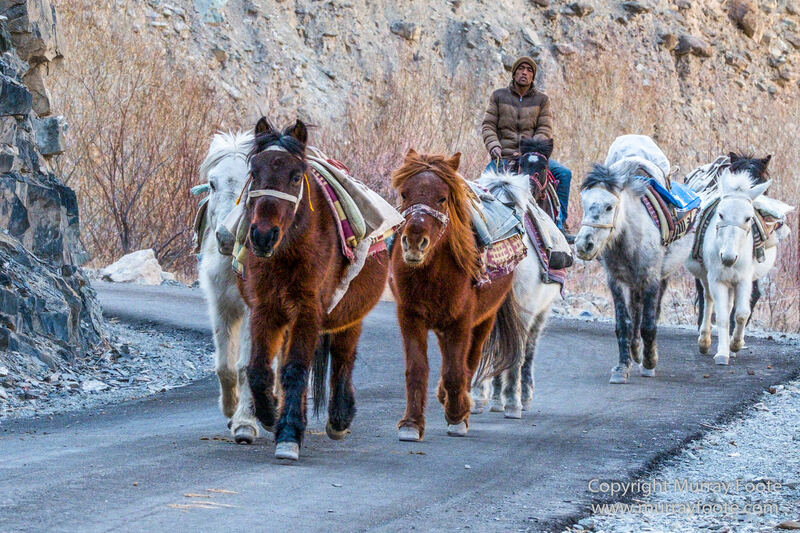 This entry was posted in Australia and tagged Buddhism, Hemis National Park, Horses, India, Ladakh, Landscape, Nature, Photography, Tibet, Travel, Wilderness. Fascinating. What are the white silks for? How many are “We”? 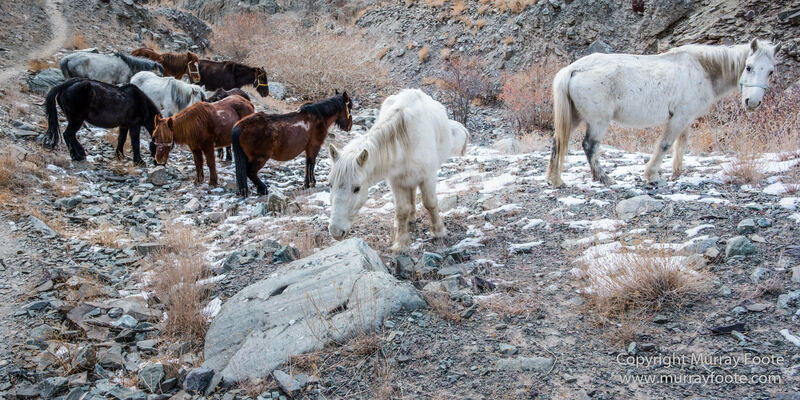 Thru the hair, the ponies still look well fed, but what do they eat on such barren rocks? 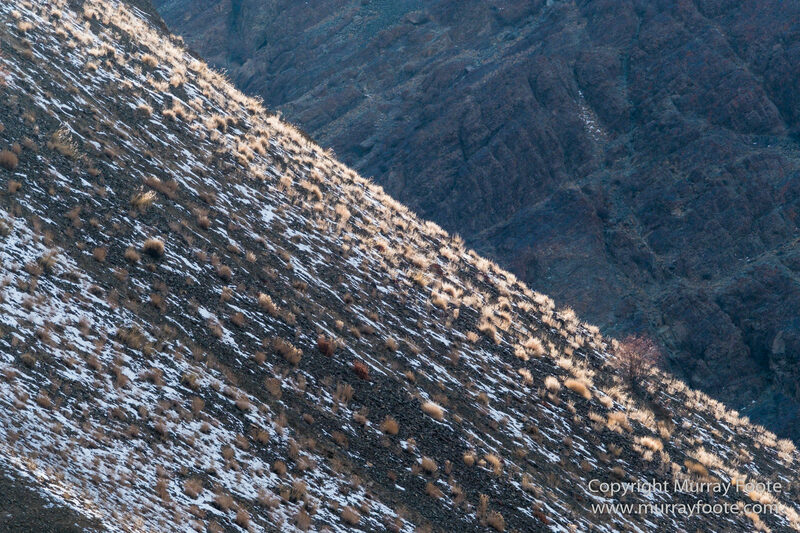 Altitude? 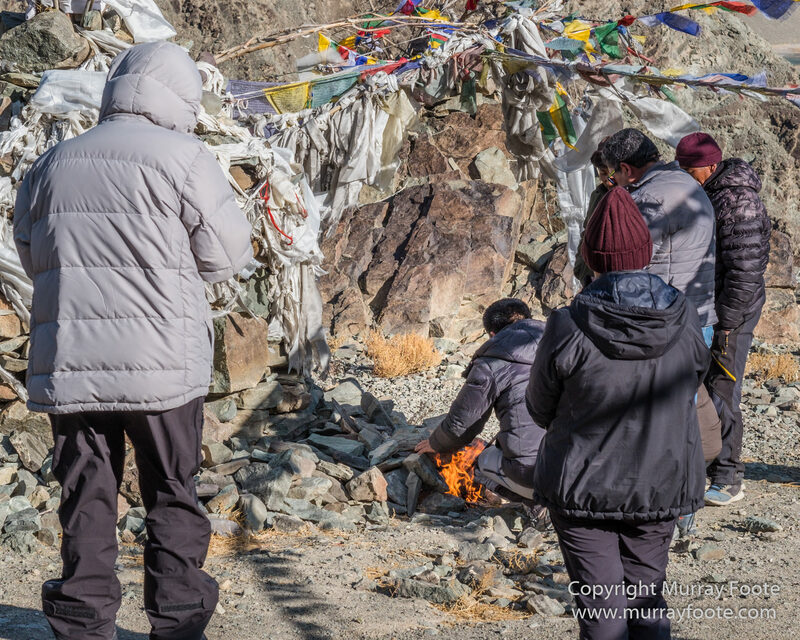 I didn’t ask about the white silks but it seems they are a kind of Buddhist offering for gaining merit. I found a long article about it here: https://www.scribd.com/document/193676549/Silk-and-Buddhism . There was nine of us. 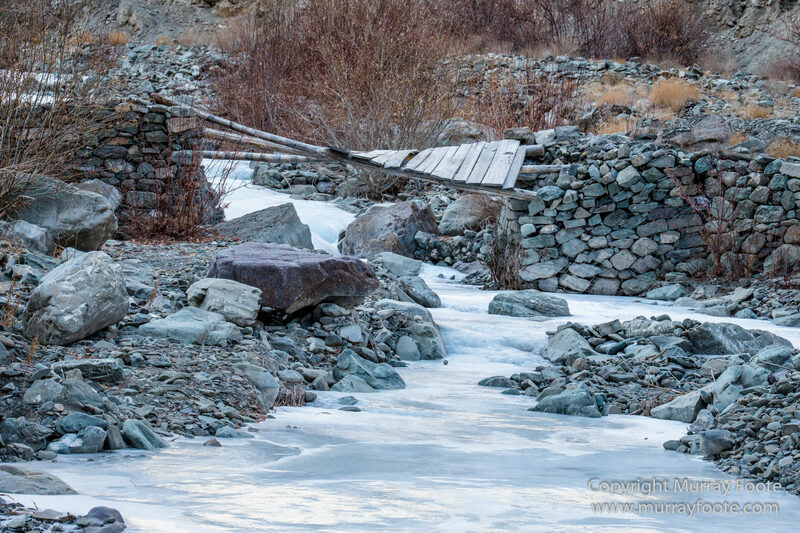 There was some agricultural land in the valley below the village we visited (future posts) and the village houses had hay or something similar stacked on their roofs. 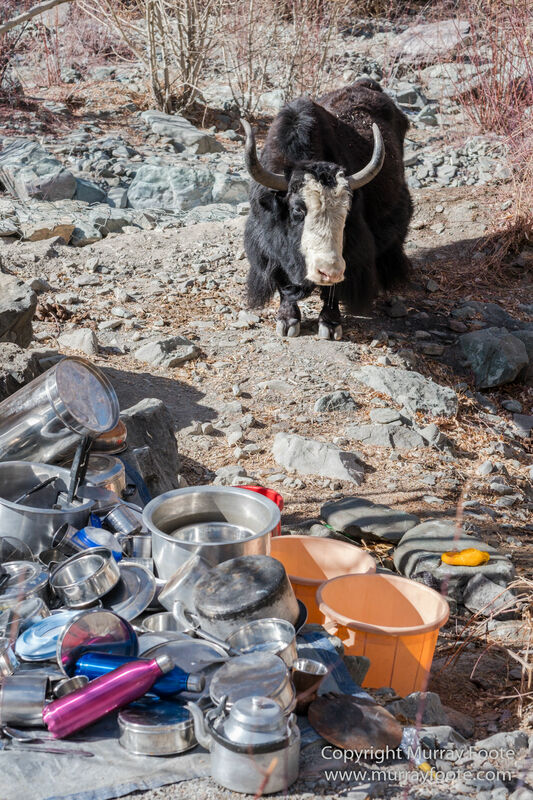 Wish I had a yak hanging around my kitchen.